Creatures don’t come more iconic than the polar bear. Resilient, strong, free — and possessing the cutest babies ever — polar bears are at once powerful symbols of the rugged far north and striking reminders of what could be lost should environmental destruction go unchecked. 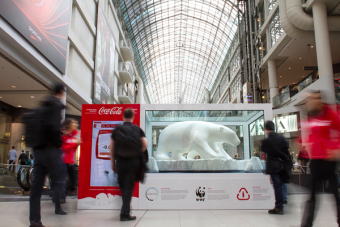 So when global green organization World Wildlife Fund wanted to partner with a corporation to help protect the polar bears’ rapidly dwindling sea-ice home turf, it looked to Coca-Cola, itself something of an icon, but with the resources and marketing savvy to help advance WWF’s ambitious objectives. That Coke had used the polar bear as a mascot since 1922 made the fit a natural. Plus, the company’s reliance on abundant fresh water for its products created an obvious circle back to the environment and its protection. In 2011 the Arctic Home campaign was born. Arctic Home sees Coke pledging $2 million over five years in $400,000 annual installments, while offering a dollar-for-dollar match to private donations up to U.S. $1 million to bolster multiple conservation initiatives helmed by WWF under the aegis of its Last Ice Area project. The campaign clearly hit a nerve with consumers. 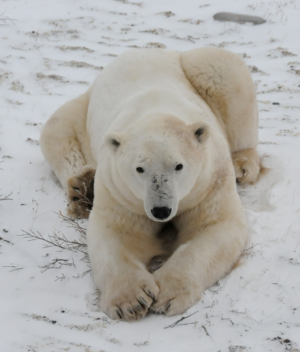 From October 2011 to April 2012, some $1.8 million was raised (including the $400K Coke donation), making serious progress towards the WWF’s goal of generating $10 million to create a safer haven for polar bears in the high Arctic. Coke’s streamlined marketing machine has also been running full-throttle. An interactive travelling installation also called Arctic Home — which simulates the polar bears’ natural environment inside a tank containing sculpted polar bear models — asks onlookers to pledge to make greener choices in their lives. Some 8,000 Canadians have done just that since Feb. 14 where the exhibit was on display at Toronto’s Eaton Centre (it’s now in Montreal, then Vancouver). And the Arctic Home campaign is only in its second year. A previous four-year partnership supporting polar bear conservation began in 2007 and raised $1 million globally. If you want to get an idea of how vital the Arctic Home project and others of its ilk are to the planet, chat with WWF’s Geoff York. York began working with polar bears around 1997, visiting the Arctic annually for some 14 consecutive years. He estimates the total global polar bear population between 20,000 and 25,000 with two-thirds living in Canada’s far north. And while the changes he has seen have been dramatic, York stresses it’s impossible to address polar bear conservation without also addressing habitat conservation, and vice versa. “Through Arctic Home we really are trying to capture the complexity and connectedness of the Arctic ecosystem,” he says from his Ottawa office. “That habitat loss isn’t just the loss of a platform where polar bears hang out. It’s the loss of, in the Arctic, what’s analogous to soil. 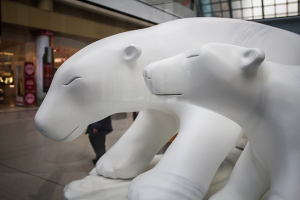 York continues: “This climate change isn’t just serious for polar bears, but for all of us. In the years I was doing field research, I saw dramatic changes. For example, when I first started working in the Arctic in 1992, the sea ice was never more than 10 miles off shore anywhere and in some parts off the coast of Alaska the sea ice never left the shore. It was touching shore all summer. An environmental NGO like WWF and a corporate behemoth like Coke may seem like strange bedfellows and indeed, there were some growing pains. While the cuddly, anthropomorphized versions of polar bears Coke was using in its advertising might have softened hearts and loosened consumer wallets in support of the program, they didn’t accurately depict the world's largest land carnivore facing habitat destruction. As York explains, “That was something we addressed last year with Coca-Cola at the launch of Arctic Home in North America. We requested lifelike polar bears or real imagery of polar bears and not the animated bears. Further, York insists the WWF/Coca-Cola partnership is a model both of corporate social responsibility and savvy NGO strategy. “The thing is government is not moving fast enough so the WWF asked, ‘Where can we find leadership?’ And one area was the corporate sector which controls significant amounts of global commodities. In the case of Coke, that’s water, sugar, aluminum,” York says. “If we can partner with a company of that size and scale and reduce their carbon footprint and their fresh water usage and increase efficiencies and at the same time engage them on meaningful conservation, we’re having significant impact that will hopefully ripple out from that partnership.